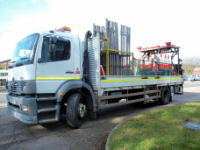 Fleetcare are a mobile repair specialist for the service, repair and maintenance of small and large fleets of commercial vehicles, plant and construction equipment. Our workshop facility is located just off the M50 for major refurbishment, fabrication and modifications to all types of vehicles and equipment. 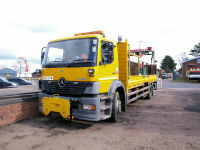 We recognise that downtime on your vehicle costs money. Our on site vehicle repair together with rapid response time, high standard of service and ability to work at your depot has earned us our excellent reputation within the industry. We are located in the South West with national coverage.